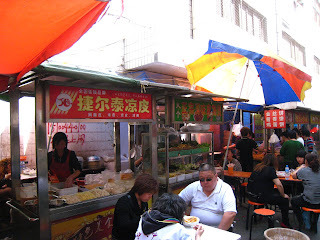 We’ve seen a number blog entries where I’ve detailed our ‘local experiences’ and I’ve always been one to support roughing it out and jostling with the natives. 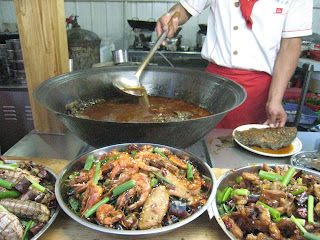 Breath in the secondary sweat, step on a few toes, get yours stepped on, eat the local broth, etc. It’s all an integral part of understanding a new culture and I’m all for it! So far we’ve done a good deal of it – the local street food, local transportation including riding my Professor’s electric bike, local massages, extremely local shopping and, of course, a bunch of local projects with local clients. But where I draw the line is the local liquor! We know it to be liquor because it simply shares a common aisle with the Johnny Walker family in the supermarket. Other than that, there is no perceivable reason that this be considered alcohol of the consumable variety. 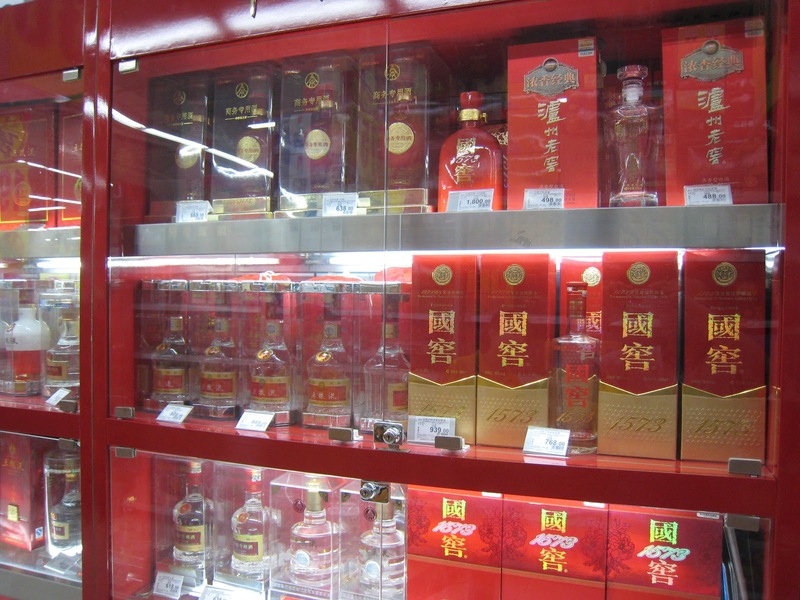 If social alcohol has the impact of getting one happy and high and finally knocked out, the Chinese liquor goes straight to Phase 3 bypassing the first two. Is that the Chinese idea of efficiency? Eenie meenie minie mo...what is is cheap and will kill me mo'? After researching significantly, I came across the Great Chinese Guide to Local Ethanol and Related Products Perceived to be Consumable. It was strictly in Chinese but I got some of my friends to translate this in English. Just like the Chinese people have Chinese names and English names, similarly liquor too has two definitions and is better known by any alternate use it can be put to. It would be useful for any future traveler to China to bookmark this post as a quick reference. 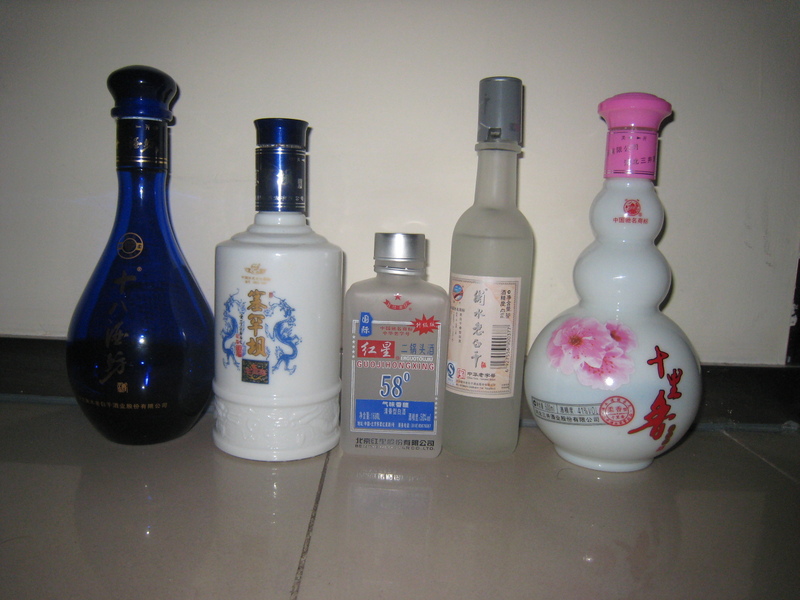 Here are the types of Chinese liquor. Actual Nail (i.e. human nails and not nail polish alone) remover. Will additionally lead to hair loss too. 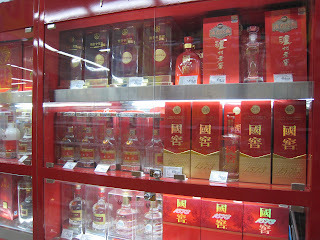 Given the rather lousy per-diem we're entitled to, it was obvious that our story of romance with Chinese liquor began in the middle of the spectrum and fast made it's way downward. Duli was the first to begin with the nail polish remover. 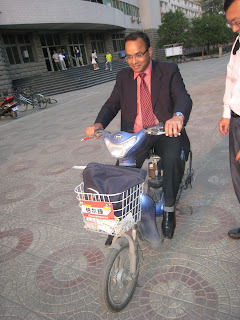 While initially we could not see any changes in him (hey, this was Duli after all! ), we soon noticed bleary eyes, dropping off of two nails, and an extremely significant loss in his desire to 'acquire Chinese' allowing competition to acquire enviable fluency. Club M founders adopted Duli to 'our fold' and 'our way of life' (and better known Western liquor). Hey.. this IS a CSR project, isn't it? Other adventurers included Sue who wanted the 'pretty pink bottle' to take back home. We believe she was actually paid at the super-market rather than the other way round. Dear future Travelers to China: Forget the toothbrush and sacrifice the toilet paper... make sure you carry your 'high' essentials.